Our dentists individualize treatment plans for each client depending on your needs, concerns and budget. We will strive to understand your needs and exceed your expectations. We are committed to providing our patients with the highest quality dental care in the same warm, caring, and professional manner we would extend to members of our own family. Our Doctors and staff are highly trained in dealing with anxious patients. We make every effort to provide a calm, relaxing environment. 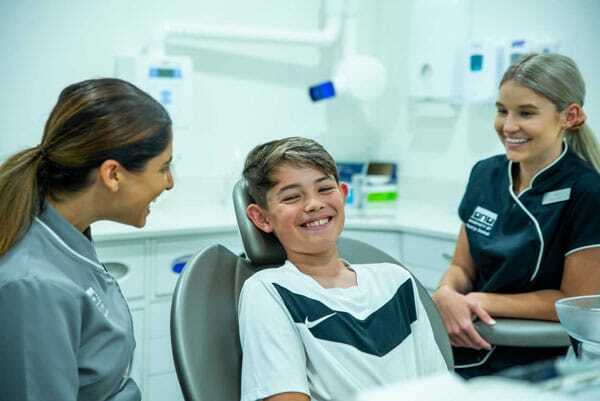 At Morphett St family Dental we have nitrous oxide (happy gas) available for assisting with this. We have televisions on the ceiling in all the surgeries to keep you entertained, just let the staff know what you would like to watch. 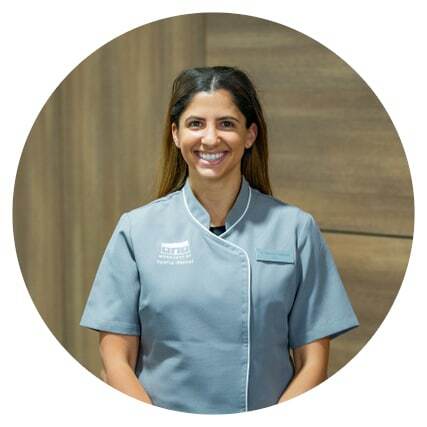 Daniela graduated from The University of Adelaide and was the recipient of the Australian Society of Periodontology Prize and the DASI Clinical Performance Prize during her final year. Daniela enjoys attending courses to apply the newest techniques and technology. 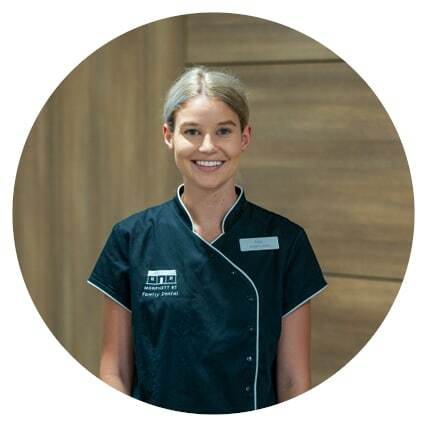 Daniela has been assisting the Adelaide Hills community with their dental treatment for many years now. She is a kind, gentle and caring dentist who always puts her patients needs first. She is well known for her art in treating the most anxious patient. Alan is originally from the UK and has been practicing in the Adelaide Hills for the past 9 years. 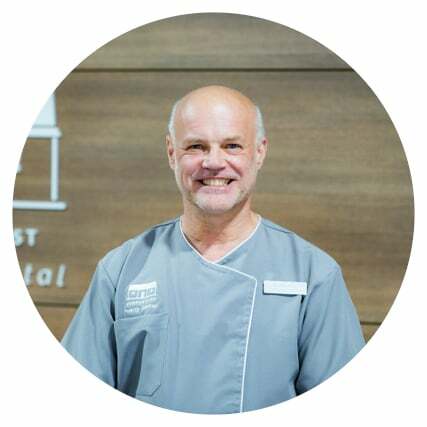 Alan brings 30 years of experience with him, including 15 years treating children, anxious and special needs patients. 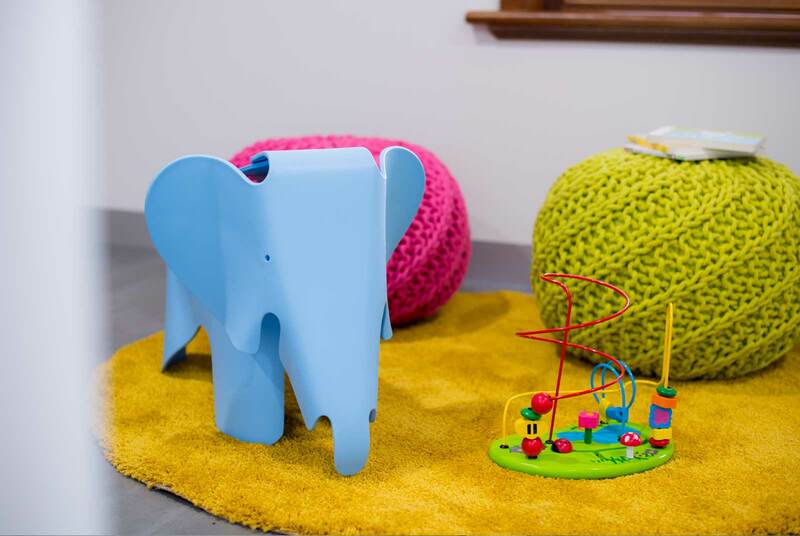 He holds a specialist UK qualification in special needs and paediatric dentistry. He has special interests in Orthodontic and pre-orthodontic treatment (including Invisalign), Dental Implants, removal of wisdom teeth and oral appliances for sleep apnoea. Alan enjoys cycling in his spare time and loves spending time with his wife and two children. 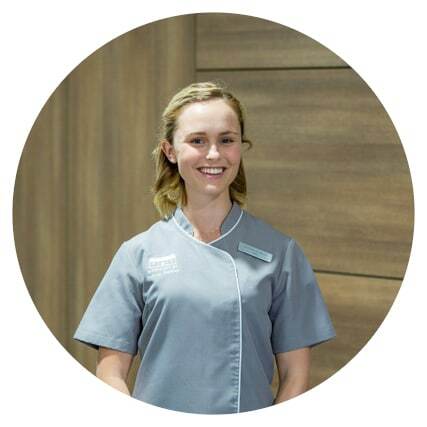 Eliza completed her Bachelor of Dental Surgery at the University of Adelaide and was the recipient of the Executive Dean’s Certificate of Merit in her graduating year. Eliza enjoys practicing all aspects of general dentistry with both children and adults. She is passionate about patient management and building trustworthy relationships. In her spare time Eliza enjoys skiing, on both the water and snow. 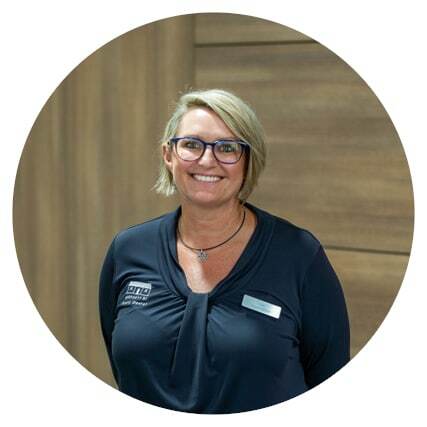 Kelly has been working in the dental industry for many years before completing her Advanced Diploma of Oral Hygiene at TAFE SA. She has been part of our team since early 2018 and is dedicated, passionate and committed to providing gentle hygiene treatment to patients of all ages. 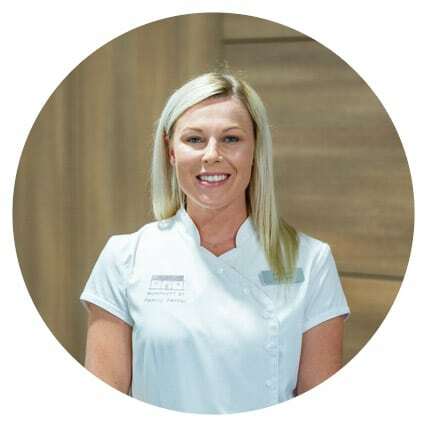 Kelly enjoys working closely with her patients to educate and motivate them to maintaining a healthy confident smile. Outside work, Kelly enjoys spending time with family and friends. She also likes to travel the world, experience new places, camping, water skiing and horse riding. Julie has worked in the dental industry for over 10 years. For three of those years, she held the position of Surgery Coordinator at specialist Oral and Maxillofacial clinic in the city. Julie is a born and bred Hills girl and loves working in the Hills community. She is passionate about customer service and will always greet you with a warm smile. 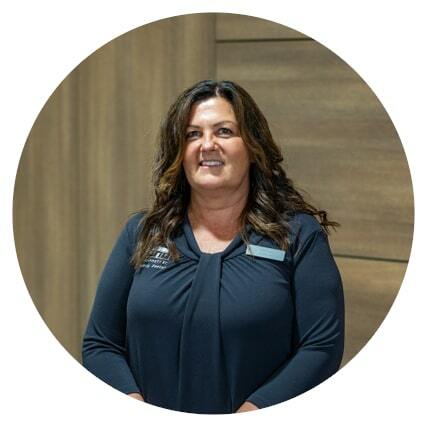 Julie is also an integral part of us being an accredited Practice, working hard on keeping on top of Policies and Procedures and any new guidelines that come into play. Belinda, fondly known as Binz, has lived in the Hills for 25 years. Binz loves working in Reception or anything to do with admin. She really enjoys seeing happy patients. Binz loves her expanding family and enjoys going to the movies and travelling. She loves learning about food and different cultures. Nikki is our born and raised Strathalbyn girl. Nikki graduated her schooling from Eastern Fleurieu Strathalbyn in 2016 and also plays netball for the local club on Saturdays. Born on the first day of summer, Nikki enjoys the warm weather and spending her time at the ocean surfing and fishing, she also loves going for an adventure whenever she can. 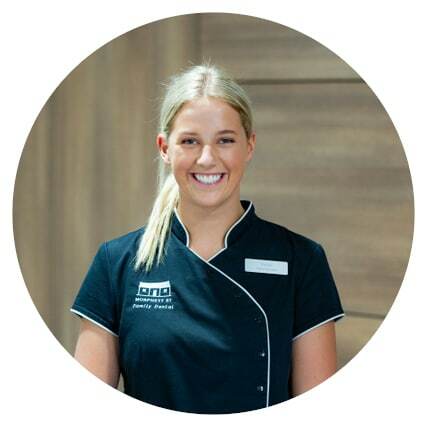 Rachel has been a Dental Assistant/receptionist at Morphett St Family Dental since 2017. She is a graduate of Cornerstone College. Rachel is our social butterfly, likes to be around people and always with a smile on her face. In her spare time she enjoys heading to the beach or river and spending time with her friends.